From Anuket, god of the Nile, to Ala, goddess of fertility, to Ares, god of war, gods are culturally important ideas given human forms and faces. 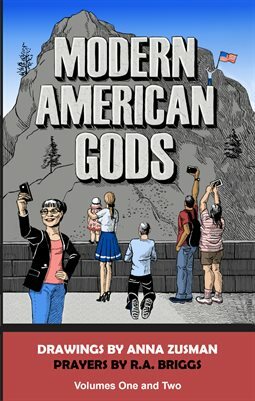 Anna Zusman and R.A. Briggs have created a series of twenty six Modern American Gods to represent the ideas that loom large in 21st-Century America. Each god comes with an image and a devotional prayer for worshipers.